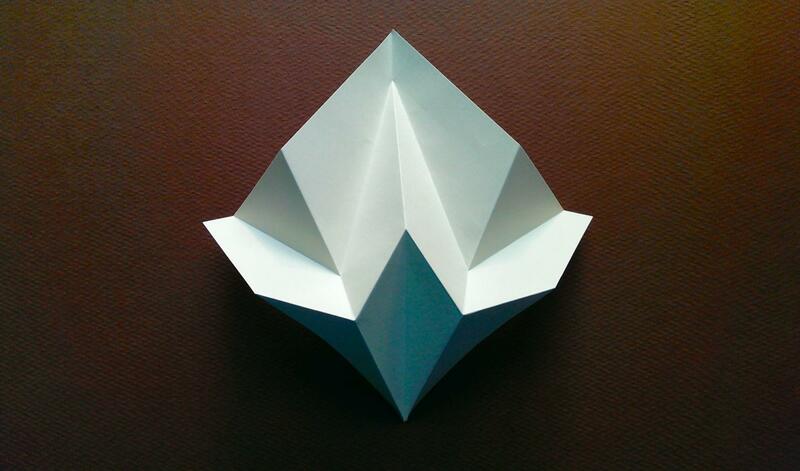 When most people hear the word “origami,” they probably think of small folded paper animals. Although I am sure James Peake can create a paper bunny or bird, that is not where his passion for paper lies. Peake creates sculptural paper forms. 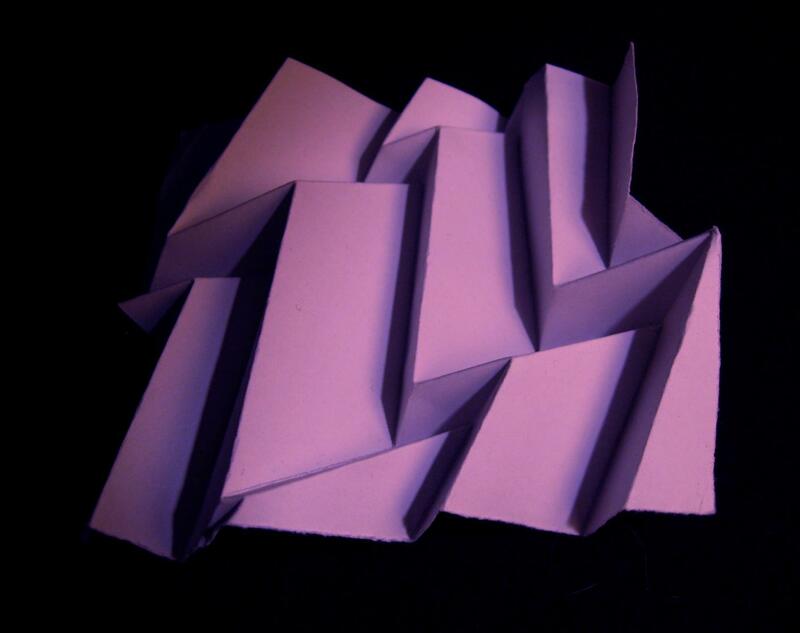 Peake creates non-representational origami through corrugation and tessellation techniques. Corrugation is a fold pattern that creates a ridge and groove. A tessellation or tiling is the repetition of a shape to produce a design with no gaps in between. M. C. Escher’s images were created through tessellation and are an excellent reference for this style of work. Pleating Light at Studio 2091, Mothersbaugh, is James Peake’s first ever solo origami show. His show is a compilation of mixed media forms and photos. Peake captured vivid images of his paper forms printed on various surfaces creating a dimensional illusion; they pop off the wall of the gallery. His sculptures are a wall, pedestal, and ceiling pieces distributed throughout the gallery. Peake uses a variety of papers and materials but each creation begins with a single sheet, and from those sheets, he has composed a multifaceted, cohesive body of work that is just brilliant. James Peake attended Oberlin College, and it was in a dorm room on campus that he was infected with origamiism by a corrugating roommate. 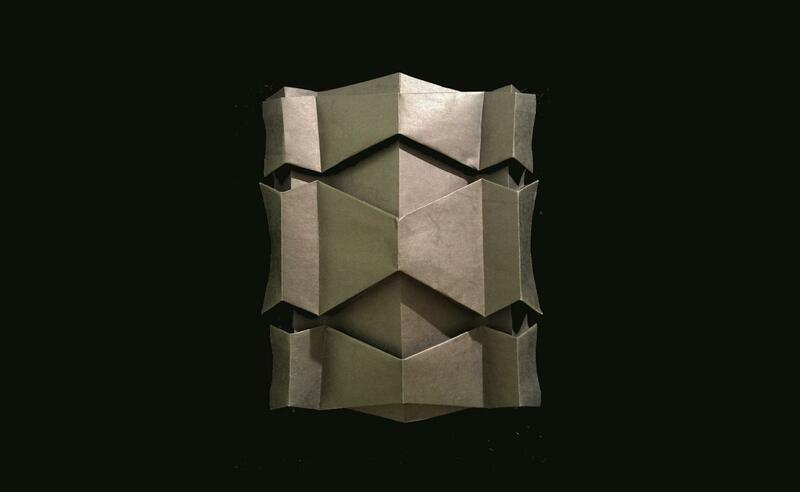 Listening to Peake describe the practice of origami, it sounds and feels like a meditation. Peake is an excellent ambassador of his trade. I walked away from our conversation sold on origami. If doing origami will give me the Zen-like quality that Peake exudes, I need to sign up for some classes. I have the feeling that if you were to do a poll of origamists, they would score higher in geometry than algebra. 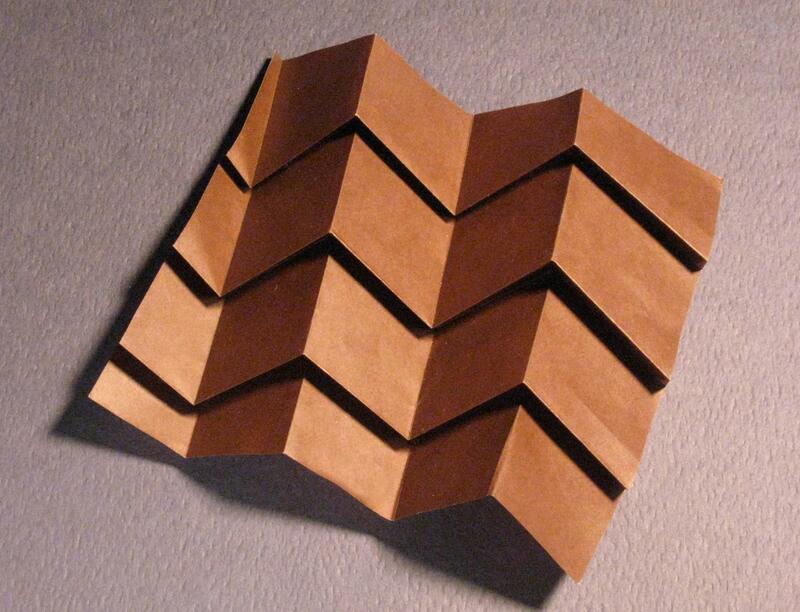 Peake demonstrated a quick example of corrugation folding. The synchronous interconnect patterns that emerge from the repeating folds almost seem to defy logic yet are entirely logical. 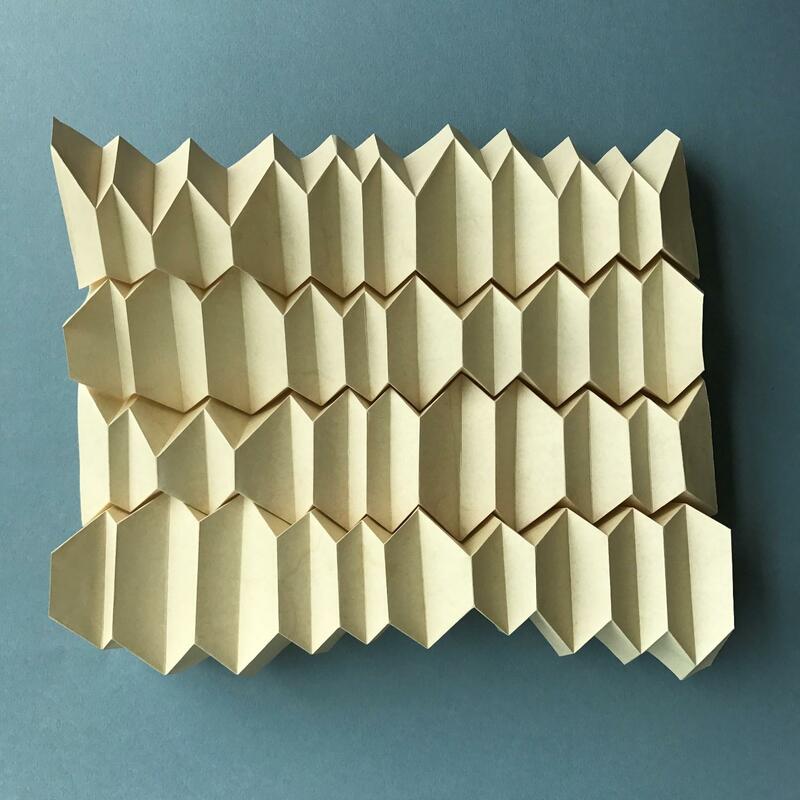 These folding methods rely on repetitive lines, angles, and shapes that result in a stunning interplay of light and shadow. The repetition of the cells that he creates with the repeating folds of paper have a strange organic geometric feel. 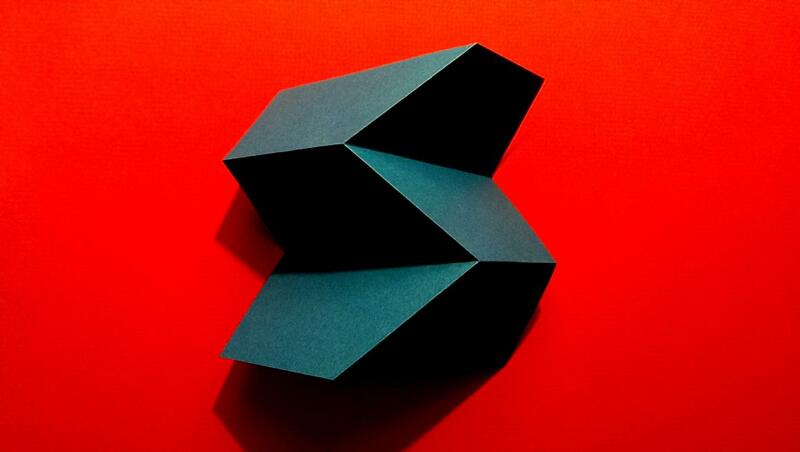 Traditional Origami is minimal: it uses a single sheet of paper, with no cutting or glue. Peake said that a “purist” in the origami community would begin with a square, any size but all sides equal. He is not a purist as many of his pieces start with rectangles. Several of his forms, particularly the wall hangings, have trellis support built in and glue for stabilization and some pre-fold trimming to produce these magical forms. Peake created a unique origami just for this show and Mothersbaugh. Peake is calling his creation an origami energy dome. Anyone familiar with the name Mothersbaugh will know that means an origami Devo Hat. The template for this design will be available to all gallery goers. The unveiling of this boutique item will be opening night. If you are unable to attend the opening, check out the gallery’s Facebook page for some live streaming of the evening and demonstrations. Peake is the owner of Foldspace Origami Studio in Oberlin as well as the Vice President of the online origami supply store, the Americas Origami Shop. 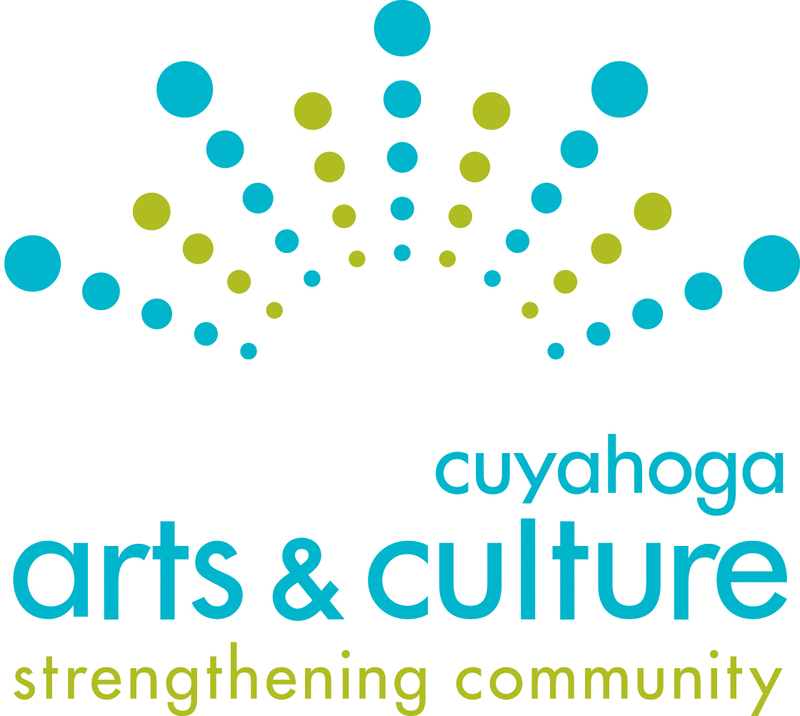 In addition to his studio and store, James is a teaching artist for the Center for Arts Inspired Learning, which provides art enrichment programs to school children throughout the Northeast Ohio region. Peake has paper and will travel for events and parties. 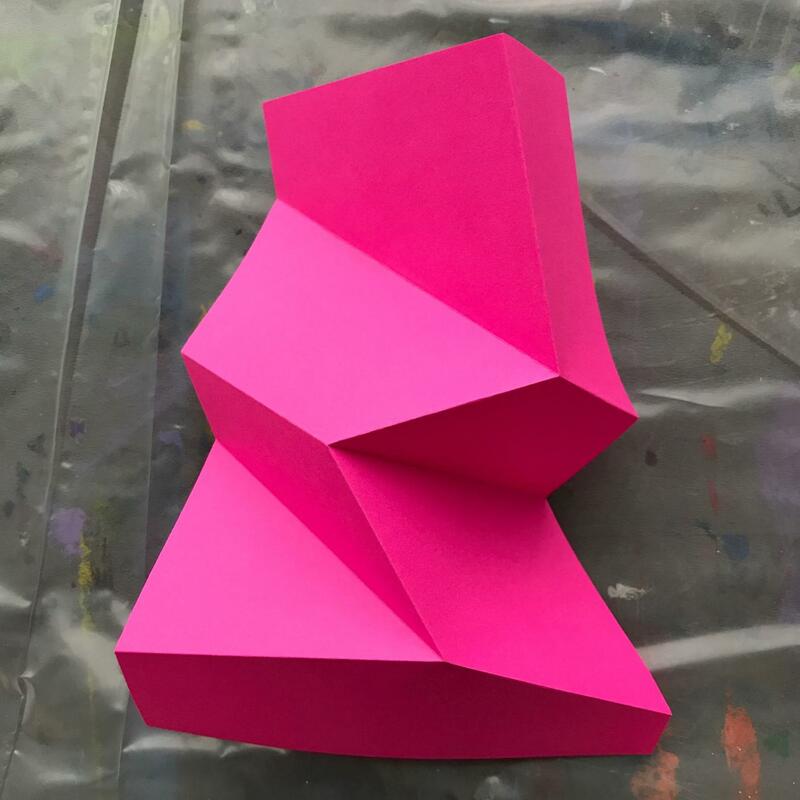 During the run of this show, Peake will be teaching two classes at Studio 2091: An Intro to Origami Basics and Corrugation Basics. To register for one or both sessions, please call (330) 962-4292 or email studio2091@gmail.com. Pleating Light will be on display at the Studio 2091 Mothersbaugh Gallery from November 16 through December 29, 2018. 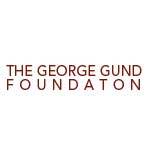 Contact James W. Peake: website or email. Follow James Peake’s life unfold on Instagram.